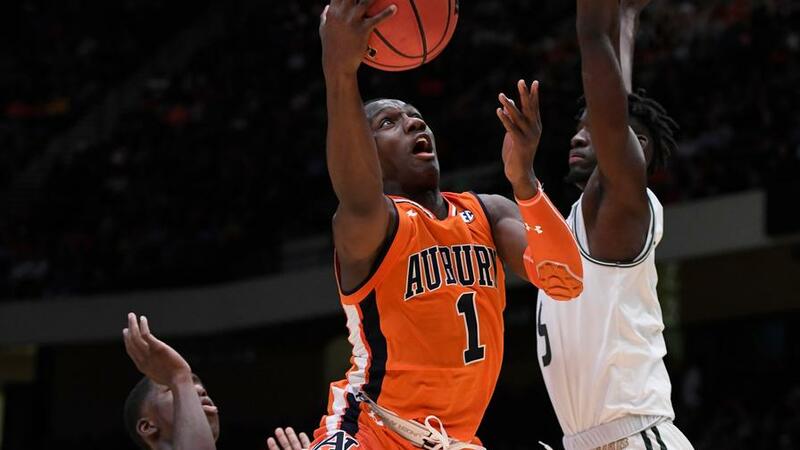 Led by Jared Harper, the Auburn Tigers are in a great spot against NC State. Who else should be in your Wednesday lineups? Now that you're in the know, we can attack today's main slate, which locks at 7:00 p.m. EST and consists of six games. At the very top, we get a tantalizing 157.5 over/under as the seventh-ranked Auburn Tigers travel to North Carolina State to take on the Wolfpack. Jared Harper, Auburn ($8,300): Despite ranking nine spots higher in KenPom.com's adjusted efficiency margin, Auburn comes into tonight's game as a one-point underdog to NC State. That should have zero to no effect on Harper and the Tigers' fantasy potential, as their 78.25 implied total is second on the slate, with only the Wolfpack ahead of them. Harper, whose 16.2 points per game are second on the team, is averaging 30.6 FanDuel points on a 22.2% usage rate and 32.7% assist rate, per Sports Reference. He has put up at least 20 points and 37.1 FanDuel points in back-to-back games, and for the year has five 20-point games and four of 37.1 FanDuel points or more. Quinndary Weatherspoon, Mississippi State ($7,700): Unlike the Auburn/NC State game, Mississippi State's in more of a one-sided smash spot versus Wofford. Their 74.75 total is fourth on the slate as they sit 10-point home favorites against the Terriers. That may scare some off, which makes anyone from their team a prime tournament play. However, the argument can be made for Weatherspoon in cash formats. 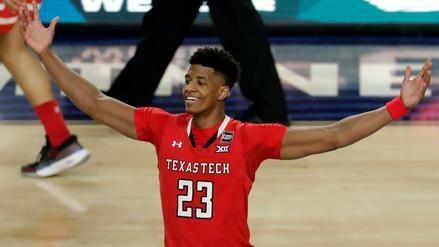 The senior leads the team in scoring (16.5 points per game) and usage (26.0%), and his 28.4 FanDuel points per game are actually 2.9 better than that of teammate Lamar Peters, who is $8,200. Against a Wofford team ranked outside the top 100 in adjusted defensive efficiency, Weatherspoon has 35-plus upside this evening. Isaiah Joe, Arkansas ($6,500): On a more sizable six-game slate, the Arkansas Razorbacks may go a little overlooked despite a decently high total. Their opponent, Georgia Tech, clocks in 19th in adjusted defensive efficiency, however, their 76.75-point total is third on the slate. Their 24th-ranked pace should help to overcome the Yellow Jackets' slow-down approach (193rd in adjusted tempo), which should help the star freshman to get his buckets. Getting up a team-high 11.3 field goal attempts (8.6 from three), Joe's averaging 16.9 points en route to 24.0 FanDuel points. But that doesn't do his fantasy upside justice. He's reached his salary-implied total (26.0) four times this year, while going for as much as 38.7 in a single game. 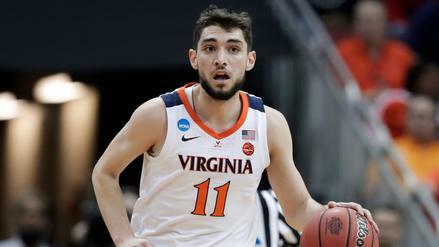 Kyle Guy, Virginia ($6,200): Rostering a player against the Virginia Cavaliers and their fifth-ranked defense is a big no-no, but targeting their players isn't out of the question. Given a matchup with a mediocre South Carolina defense (62nd), Guy is a go-to value in the mid-range. Averaging the most minutes per game (33.3) of anyone on his team, the 6'3" sharpshooter has turned his volume into production, converting 4.6 of his 10.7 field goal attempts and 2.4 of his 6.0 three-point attempts. That's amounted to 13.4 points, 3.6 rebounds and 2.6 assists, as well as a total of 21.5 FanDuel points a game. Guy's floor is lower due to UVA's slow style of play, but he's had four games of at least 22.7 FanDuel points to date. And you never know when a 20-point game is on the horizon. Samar Doughty, Auburn ($5,600): Not only do the oddsmakers' lines point to this being a great spot for Tigers, but this is almost certain to be a pace-up game for Auburn. NC State's 75.7 possessions per game are 6.9 clear of Auburn's season average, and that's contributed to their allowing 78 points in two of their last four games. In their only other matchup with a ranked opponent -- Wisconsin -- they gave up 79. The points will be there for the taking, and cheap exposure in Doughty is the way to go. Averaging just 8.1 points, a nice scoring night could go a long way in Doughty returning value, as the junior averages 4.7 rebounds, 2.4 assists and 1.8 steals per game in the way of peripheral stats. Daniel Gafford, Arkansas ($8,500): By raw numbers, Georgia Tech is good at holding down their opponents' rebounding totals, but their 50.3% rebound rate is tied for 204th in the nation, really speaking to the troubles they've had on the boards. 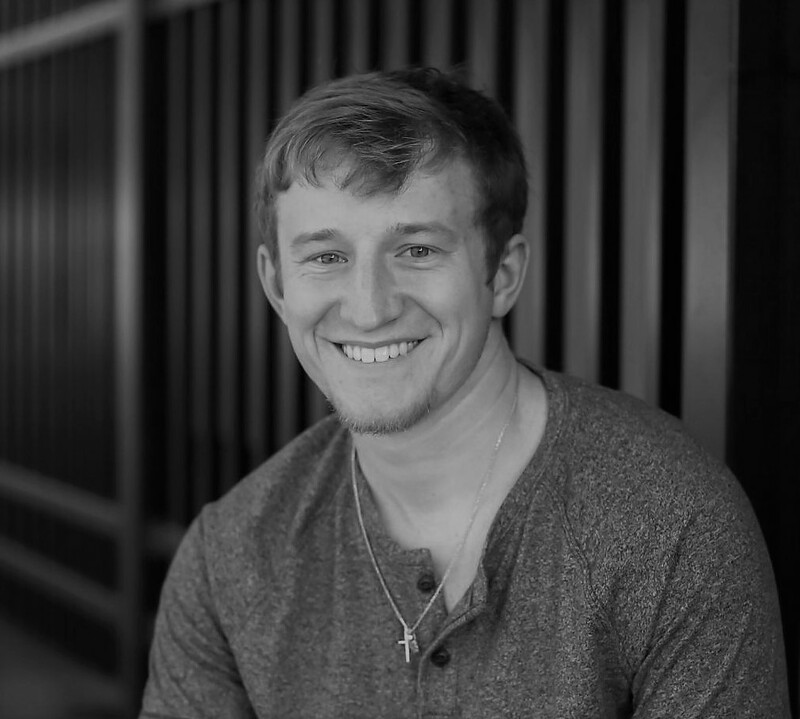 Fortunately for Gafford, that's where he does his best work, averaging a team-leading 9.3 rebounds (2.7 offensive) in 27.1 minutes a game, amounting to a 17.7% rebound rate and 23.7% defensive rebound rate. His activity there, coupled with his 17.9-point average, has led to a slate-high 33.9 FanDuel points. For a stretch of weaker opponents, his minutes were held down, but the production stuck, as he comes with a 25-point floor and a 45-plus ceiling, as he's shown already early in the season. Lamar Stevens, Penn State ($7,600): In a battle of two Pennsylvania squads, Duquesne plays host to the Penn State Nittany Lions, led by junior Lamar Stevens. Using a team-high 30.4% of his team's offensive possessions, the 6'8" forward is averaging 31.5 FanDuel points -- second among tonight's forwards. That's what you're getting from a guy priced $900 down from Gafford -- if you do choose to go this route. Paying up for Gafford is a task, and with Stevens you still have a dude capable of going for 40-plus fantasy points -- something he's done three times already this year. That's definitely in the cards against a Dukes squad ranked 149th in defensive efficiency. Reggie Perry, Mississippi State ($5,100): In addition to Weatherspoon's stud status in the backcourt, the Bulldogs' frontcourt presents some lower-priced value options. Perry, a 6'10" freshman, has started just two games (none over the last four), but he has been efficient with his 18.9 minutes. On 5.4 field goal attempts and a 19.1% usage, he's produced 15.4 points per 40 minutes, along with 12.3 rebounds and 2.4 blocks-plus steals taken over an entire game. Now, he may only get 20 minutes, but he's excelled in exploitable matchups like this. Against Alcorn State, he went for 34.2 FanDuel points with a double-double in 28 minutes. 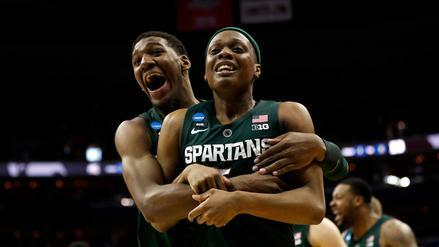 And back in November in a game against Long Beach State, he accounted for 24.8 FanDuel points in 21 minutes of work. That type of upside is certainly in play, and all for a hair above $5,000. Abdul Ado, Mississippi State ($4,600): You could opt for Perry, or you could go here with Ado. The fellow big man has started all eight of the games he's played in, and he's averaging 24.9 minutes. He has, at times, played substantial minutes, too, having logged 26 or more in five of his appearances. In them, he's managed to average 15.1 FanDuel points, including three of at least 16. The number for him to reach four-times value is 18.6 tonight, and while there's a chance for that, you don't necessarily need it if you get enough bang out of whichever studs you choose to deploy.